University of the Ozarks is a small private college with a 184-year history in the heart of rural Arkansas. 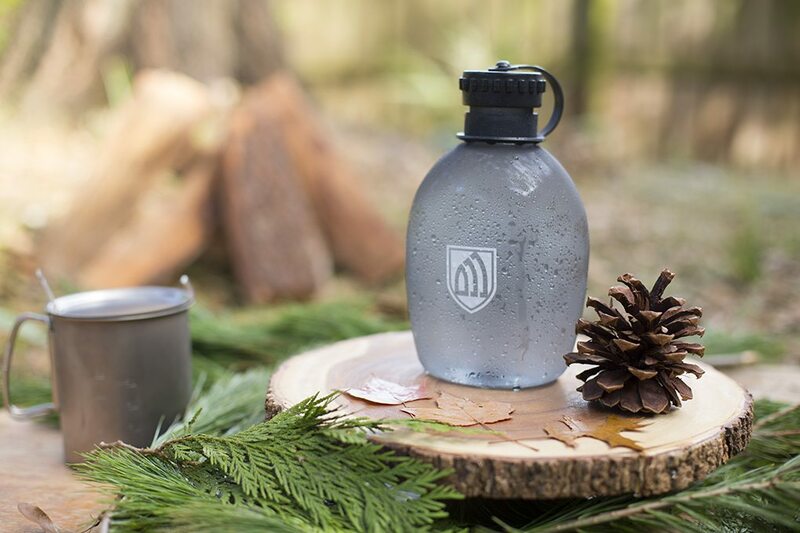 Deep roots aside, the University was struggling to differentiate itself and drive more “right-fit” students to enroll. 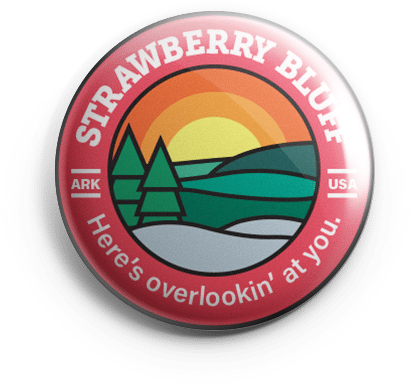 By replacing the University’s generic form letter with an engaging acceptance package that embraces the school’s rural location and tells the authentic Ozarks story, we did both. 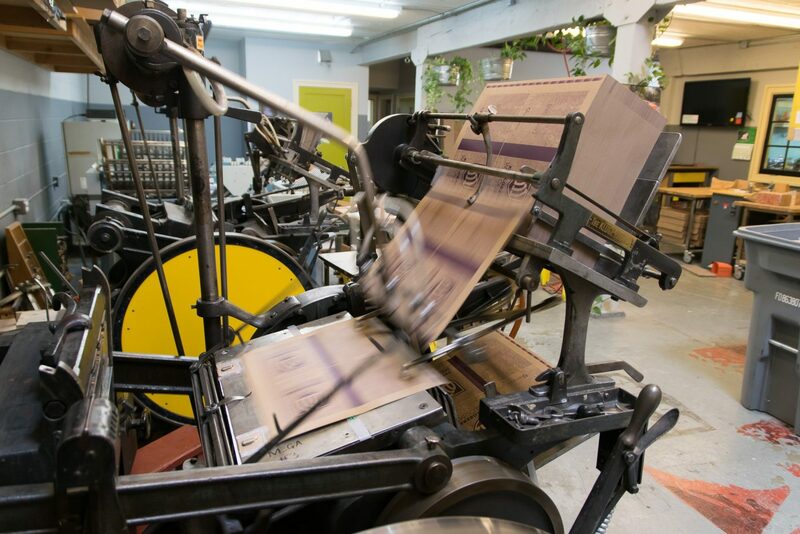 Since mailing out the new boxes, the University has already reported a 29 percent year-over-year increase in student yield for the 2017–2018 enrollment cycle. 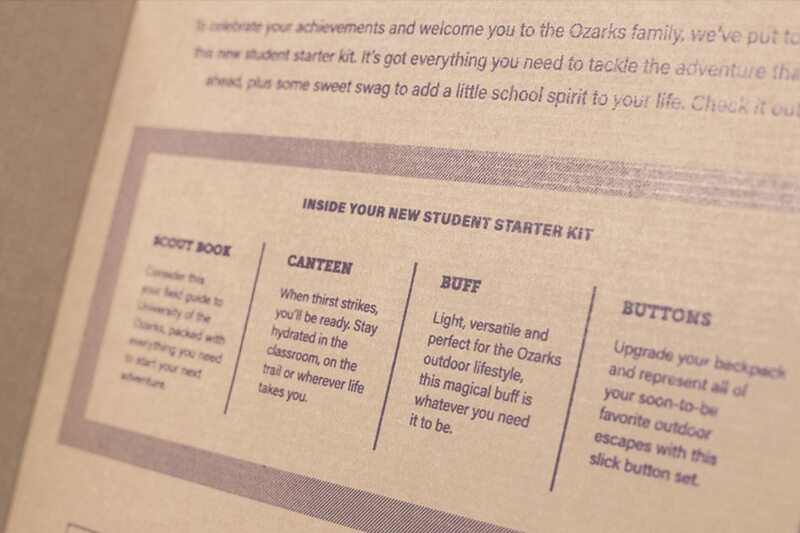 Create an out-of-the-box acceptance package that specifically appeals to students who would thrive at the University of the Ozarks—and convinces them to enroll. 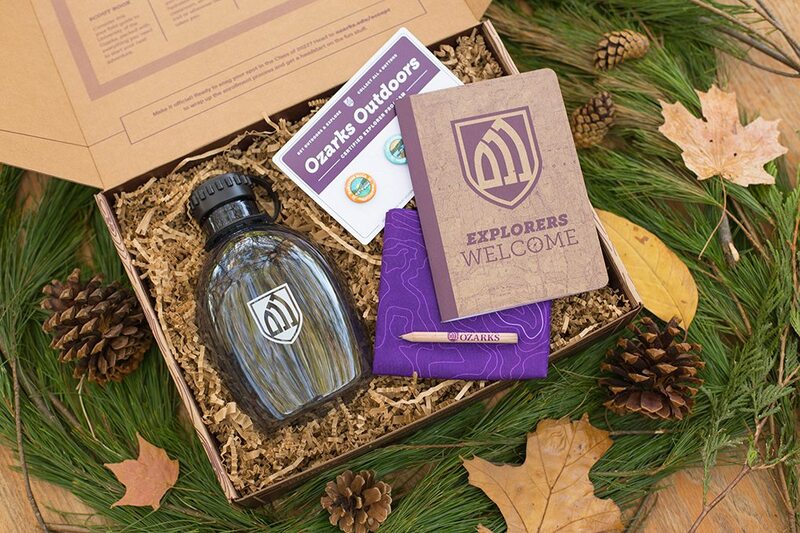 Expand on the University’s new “Explorers Welcome” theme to tell an authentic story about finding yourself in a tight-knit learning community and getting lost in the great outdoors. 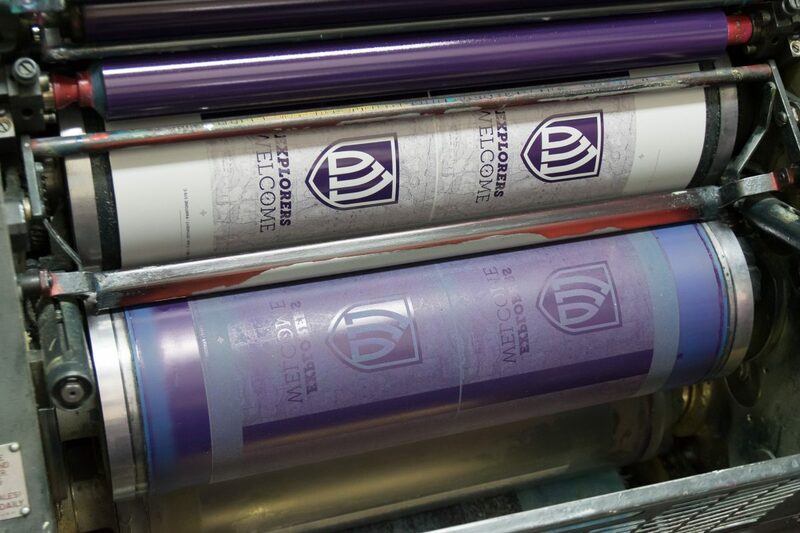 Deliver an experience, not just an envelope. 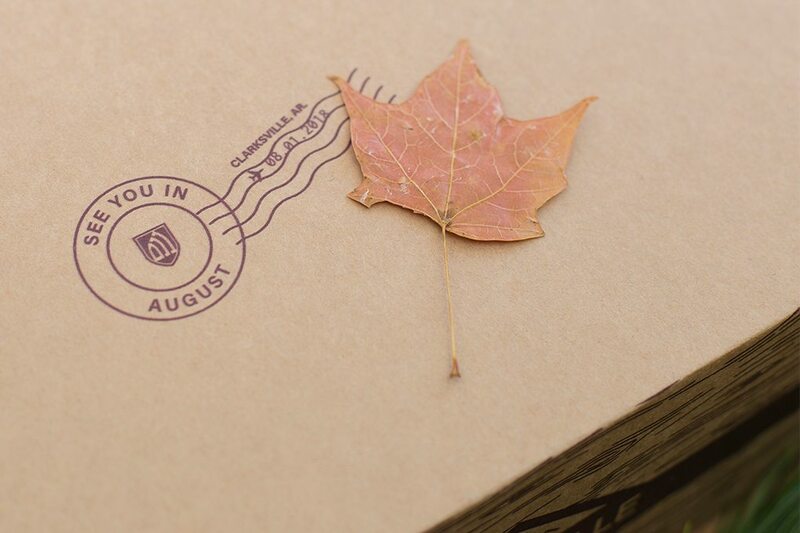 Bills and bogus credit card offers aside, who doesn’t love receiving some real mail? 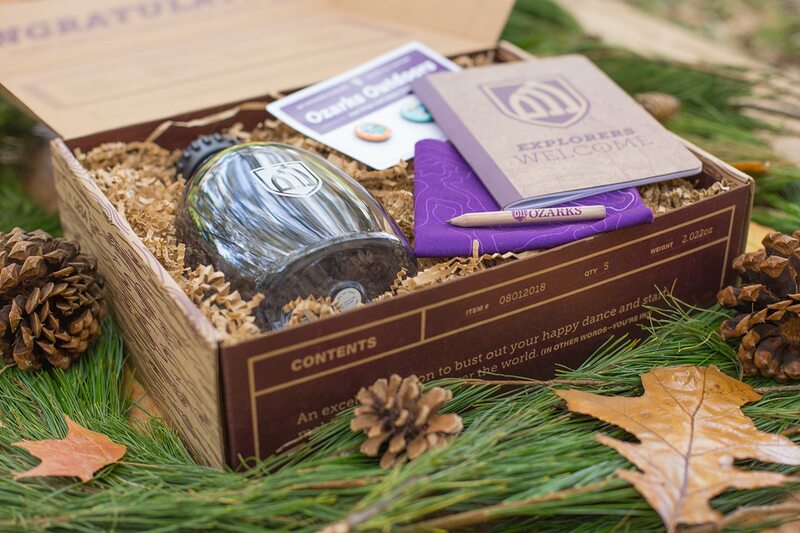 We upgraded the University’s acceptance package from a basic form letter to an immersive unboxing experience packed with thoughtful touches indicative of the one-on-one attention and focus their students receive. 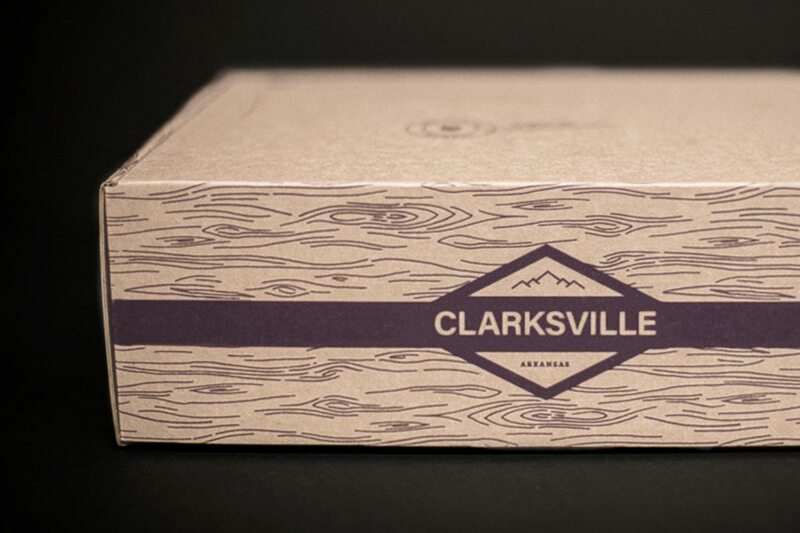 We partnered with Packlane to produce a custom box that made use of every panel on our parcel. 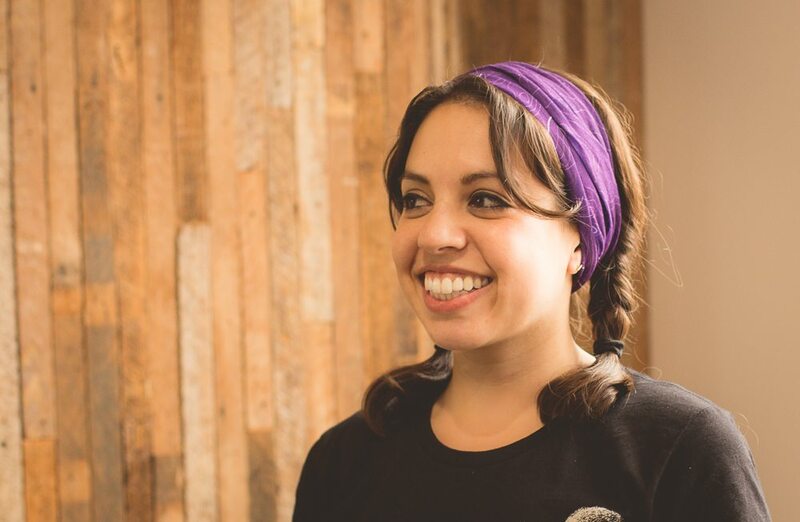 Half how-to guide, half viewbook, the Scout Book reminds students why they applied and gives them the tools they need to tackle their first year. 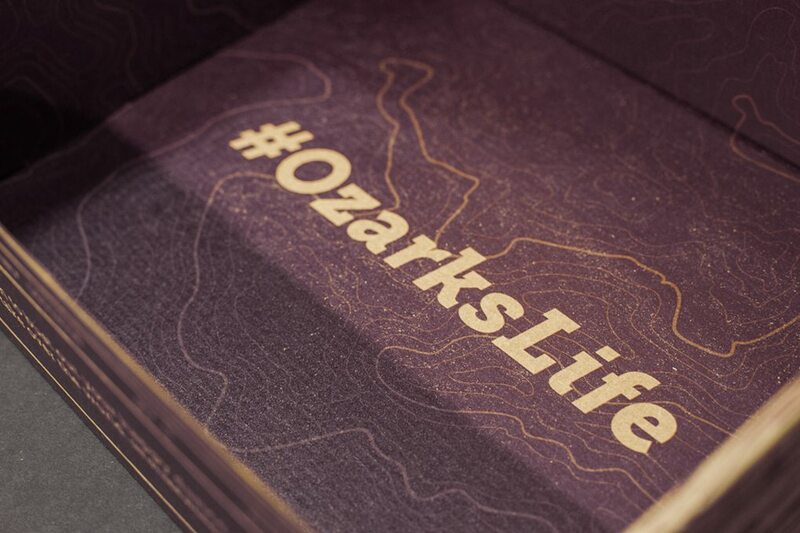 To inform the content, we surveyed freshmen who had just completed their first year as well as graduating seniors to understand why they chose University of the Ozarks, what defined their experience, and what they wish they had known from the start. 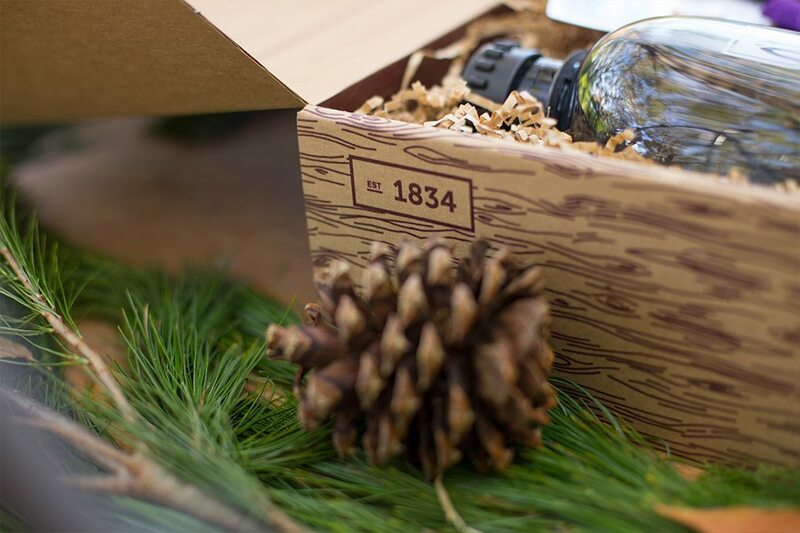 We worked with Scout Books, a Portland-based company that prints on 100-percent recycled paper with vegetable-based inks, to produce a sustainable guide that complemented the back-to-nature feel of our admit box. 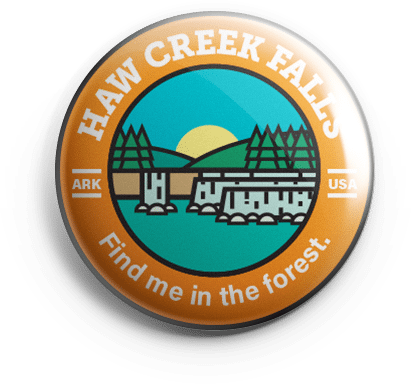 What we unearthed during client discovery was validated by our student survey responses: Students who thrived at University of the Ozarks saw the school’s rural location among five state parks and two mountain ranges as an incredible advantage. 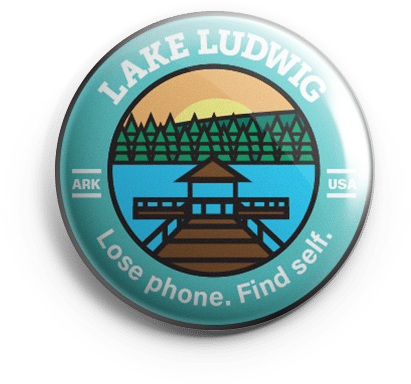 So instead of the usual pennants and college tees, we kitted out our accepted students with canteens, buffs and custom-illustrated buttons commemorating some favorite fresh-air hangouts. 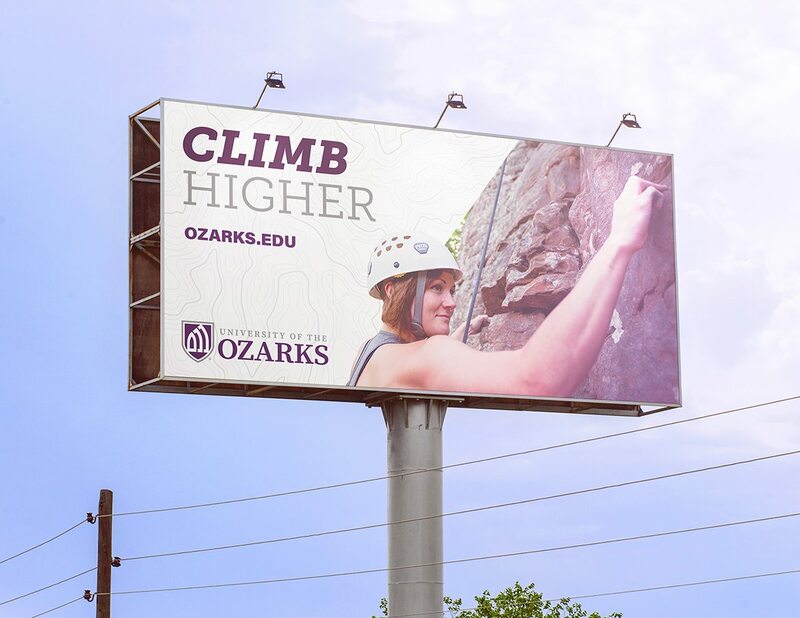 Despite a long-earned reputation, University of the Ozarks still had to fight for local audience attention. 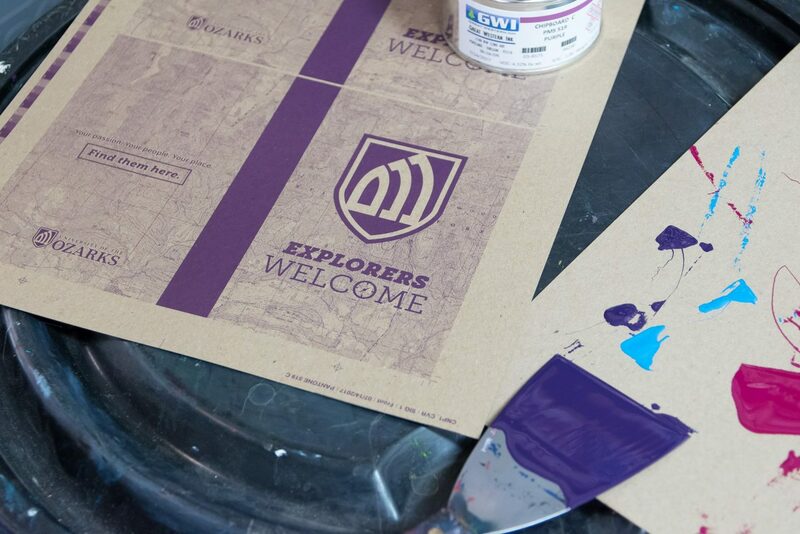 We strategically placed a series of billboards reinforcing the “Explorers Welcome” theme and admit pack design along key interstates that both admitted students and prospective high school applicants were likely to see. 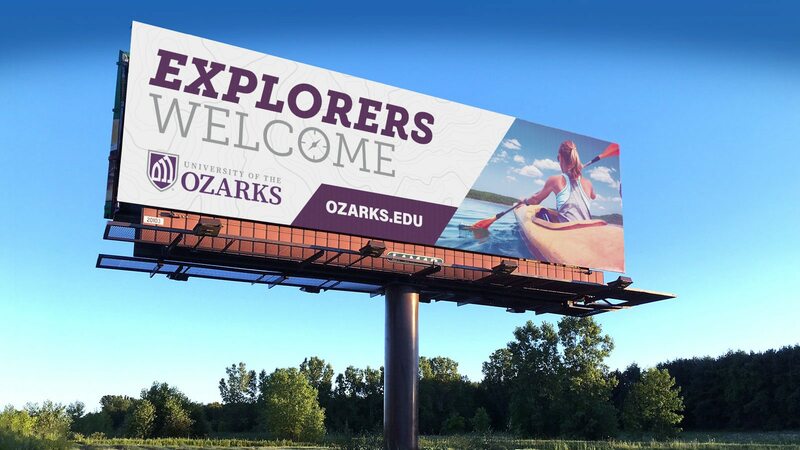 Since giving their bland acceptance letter the boot, the University of the Ozarks has seen a dramatic shift in the number of accepted students who have made the commitment to enroll. 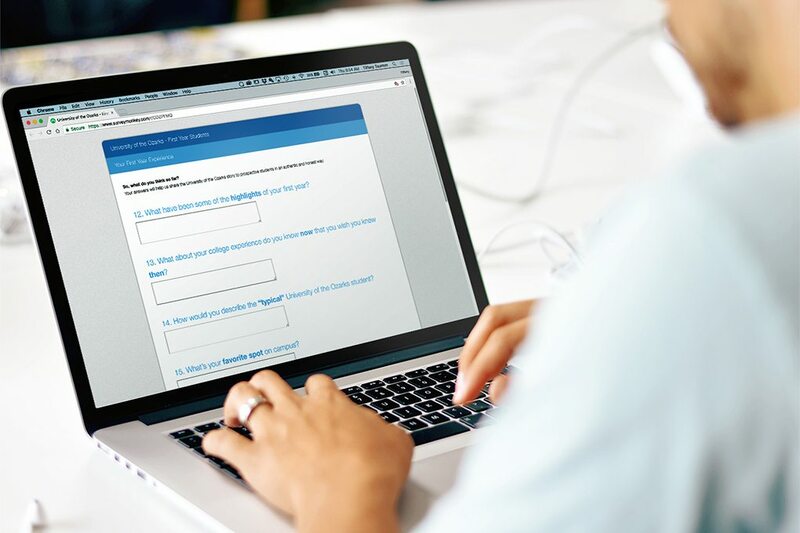 The university has already reported a 29 percent year-over-year increase in student yield for the 2017-2018 enrollment cycle.